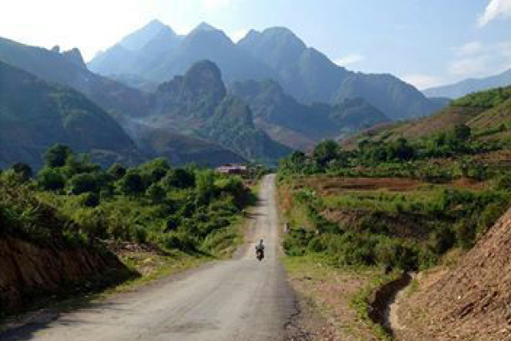 Riding Adventure at its best... Vietnam offers the best road touring in South East Asia! 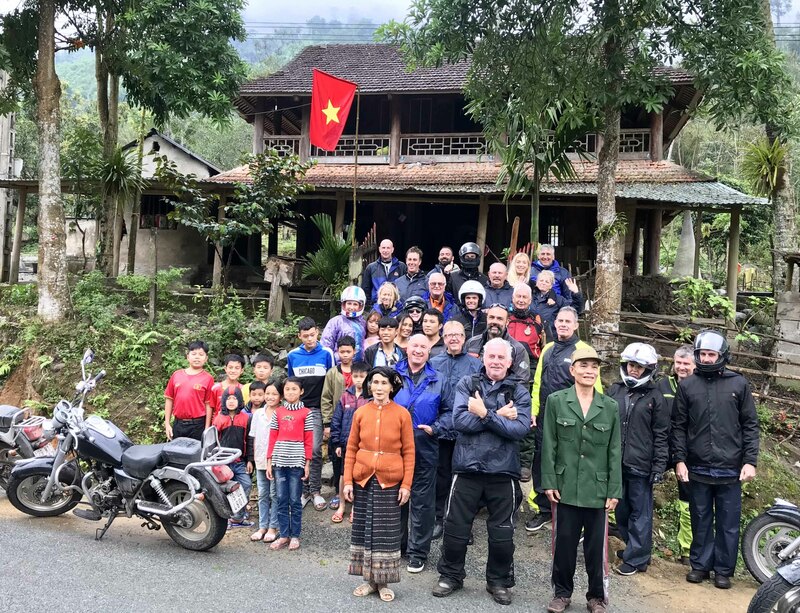 Led by Jason, Australian motorcycle enthusiast & VMT founder, we have been touring the most remote parts of Vietnam for the past 10 years. Our goal has always been the same: to deliver quality service and to keep it real! We will show you the true depth of culture of this wonderful country, whilst keeping the riding awesome and full of adventure (always avoiding the typical ’tourist’ routes). This seems to work well, as many of our riders return again and again for more adventures across this beautiful Rider’s Paradise! They simply love what we provide..! Check out our Testimonials HERE for our excellent GENUINE reviews, alongside an adventure-filled ‘Rider Recap’ clip. VMT host top quality, high-end tours all year round, with tours ranging from 1 day to 20 days. Our customers include solo riders, couples, families, groups of friends and plenty of motorcycle clubs! 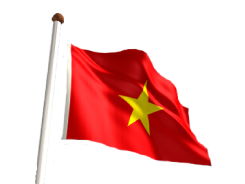 Feel free to contact us anytime for any questions, advice or assistance regarding touring Vietnam. 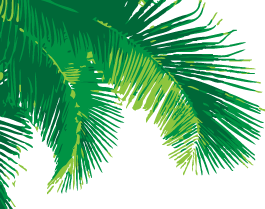 If you’re like us and are not into the busy mainstream tourism scene, then you have found the right tour operator..! Our tours are unique and unusual, offering rides through areas that the others have yet to discover. Our tours are designed exclusively for experienced riders seeking the ultimate undiscovered motorcycling holiday. 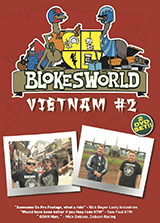 As such, you won’t find us in the ‘not so’ Lonely Planet Guide Book.. 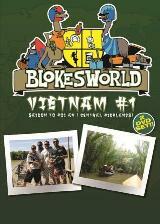 But you will find us featured in dedicated motorcycle adventure media! Head over to our Media Coverage page HERE to check out our GoldStar reviews. Take a look at our ‘tours’ pages to find more details on pricing and inclusions with regards to our Standard Private Tours, Premium VIP Private Tours and Special Event Tours. Our private tours are designed for riders who are wanting their own private tour on preferred travel dates, or perhaps want to adjust the route to accommodate for certain sights, locations or skill-levels. For more info & pricing on private tours, click HERE. Our Special Event Tours are fixed-date tours and are open to the public, allowing like-minded riders to join and meet other riders. These tours are always popular, and many long-term friendships have grown from the wonderful shared experience of riding with VMT. For our Special Event Tour calendar & pricing, click HERE. Our fleet of 30 2013-2018 super comfy Lifan motorcycles are perfect for touring Vietnam . 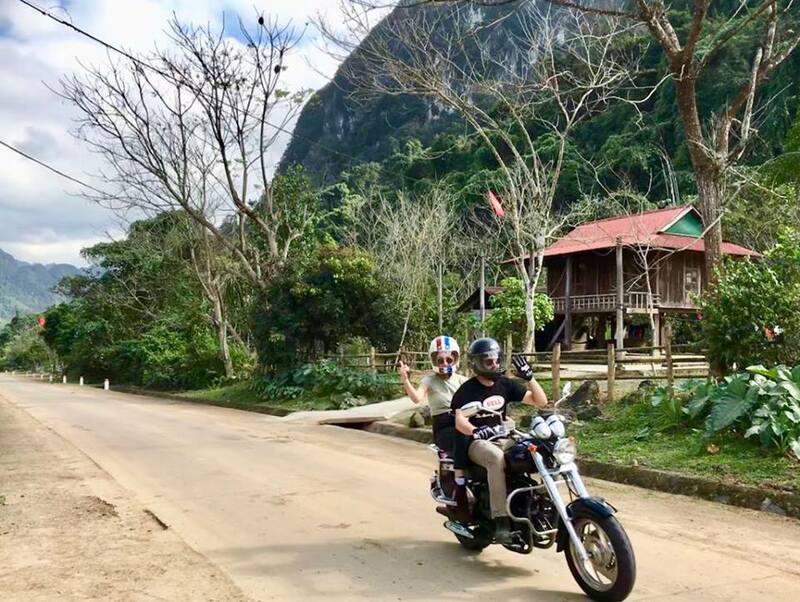 These bikes are full sized motorcycles and are perfect for touring Vietnam, offering good comfort and smooth riding for both rider and pillion alike. 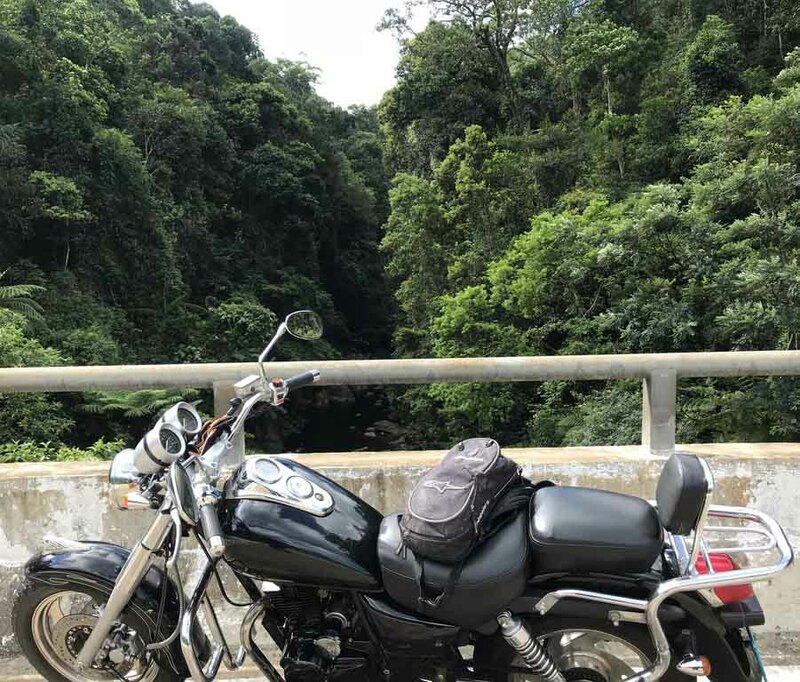 Our bikes are thoroughly serviced and well-maintained before, during and after all of our tours, also meeting both local cc regulations and international travel insurance guidelines for licensed motorcycle riders. Our many riders from all over the world have confirmed that our selection is the right choice for the job and that they are a fun and easy bike to ride in all weather and road conditions. The Lifan offers good, reliable performance and the fact that everyone is on the same bike certainly helps to keep the playing field even! 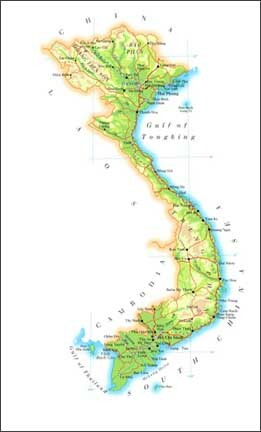 Road speeds in Vietnam are at a relaxed pace, averaging 60-80kph. This certainly adds to the relaxed countryside charm, though that’s not to say you won’t face plenty of challenging riding! Vietnam is a riders paradise . For more details on our bikes, click HERE. VMT use high quality, clean, mid-range overnight stays. We have a preference of supporting small, friendly, locally-owned Hotels and Guest Houses, but our standards of quality are always strict, so we generally use locations that would rank as 3-4 star accommodation back home. Food is also one the many highlights whilst touring Vietnam, it’s simply sensational… We will provide you with ample opportunity to discover and enjoy the diverse array of freshly cooked foods that Vietnam is world famous for, whilst also catering for any special dietary requirements, so please just let us know in advance if you have any allergies or needs. 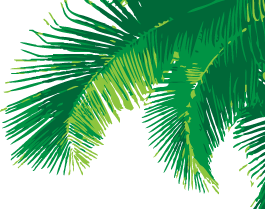 You can find information about our overnight stays by clicking HERE. VMT consists of a team of fully dedicated English-speaking professional guides and mechanics. 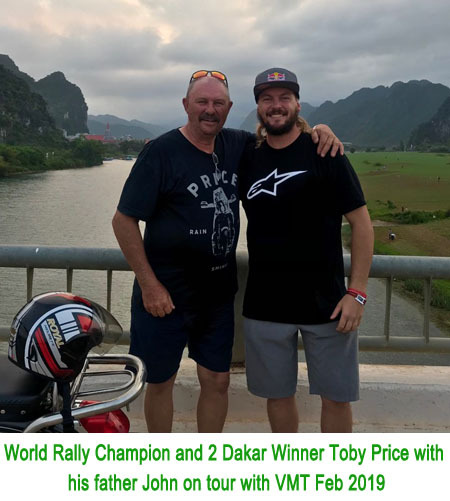 We also provide a vast range of quality support, including a fully-serviced and maintained fleet of motorcycles, a Support Van to carry all your gear and baggage (leaving your bike unencumbered), an endless supply of cold bottled water and snacks, field medical kit, 24hr back to base support, sufficient tools and spares, sturdy helmets (limited sizes), detailed touring maps, wet-weather gear and a whole lot more! Head over to our ‘About VMT’ page HERE to learn more about our team and what we provide. All our tours are booked through Renee, our accredited and licensed travel agent. These services are included in our tour packages at no extra cost, giving you peace of mind when booking with VMT. Feeling ready to ride? Send as much info as possible (you can use our Booking Enquiries form HERE), including your preferred tour dates and number of riders. We recommend booking in advance as tours and dates can sell out well in advance. All VMT Tours are guaranteed to run! 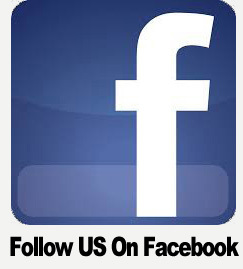 For more information and booking, please head to the ‘Contact Us’ page by clicking HERE. Please note that motorcycle riding overseas must be considered as one of life's more adventurous pursuits, therefore personal travel insurance is mandatory when riding with VMT. Please also note that not all travel insurance policies are the same. Beware of over-the-counter style policies, as some are not worth the paper they are written on! 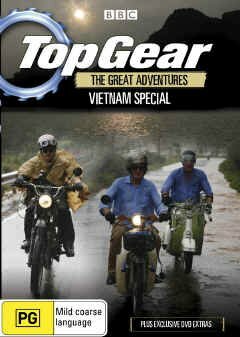 You will need cover that specifically includes riding a motorcycle in Asia. Many do offer this cover, though license requirements may vary so be aware of this when you are shopping around. Here are some suggested insurers that riders from Australia & UK can consider using; QBE - RACV Travel Insurance, Lloyds, WorldCare, World Nomads. For more info, check out our FAQ and Key Information by clicking HERE.